This online app has a wide variety of videos on various educational topics. It is a great source for your students at any level to cover different subjects. This website is good to improve your memory and reduce your stress on the use of various programs like Photoshop or Adobe Illustrator. This tool is really useful for students to learn English. Vocabla is equally beneficial for native speakers and other students with English as a second language. Students can learn new sentences, phrases and words with this app with the help of practice tests and flashcards. This app is really comprehensive to increase your productivity. You can use strategies that are based on educational psychology and help students to develop good study habits. It can boost their memory, increase motivation and reduce their anxiety and stress. 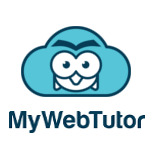 This app is handy for online students for Peer-to-peer interactions. It is a reliable platform for social learning becausestudents can interact with professionals, specialists, professors, teachers and scholars. Students can discuss their study problems with intellectual people. This app enables students to supplement their learning by listening to educational debates on a variety of topics. Studentscan access TED library to access videos and available data. You can get subtitles in more than 100 languages. You can get the advantage of this app to increase your knowledge. It is often difficult to getting started with an assignment. This app helps students to map out their ideas and thoughts clearly.Students can edit and create mind maps and organize them in different folders with images, themes, notes, links and much more. Evernote helps students to compile their projects at one place. You can make a to-do list, take notes, set reminders, attach file and access everything with your device. Just create a free account and get upload limit 60 MB on a monthly basis. You can get push notifications and sync all notes as per your needs. The camera feature is particularly helpful to save documents, photos, business cards and notes. This app is really helpful for students to manage daunting projects that may be difficult to manage. It will help you to break your tasks into small doable chunks and the students can set up their tasks as per their priorities.